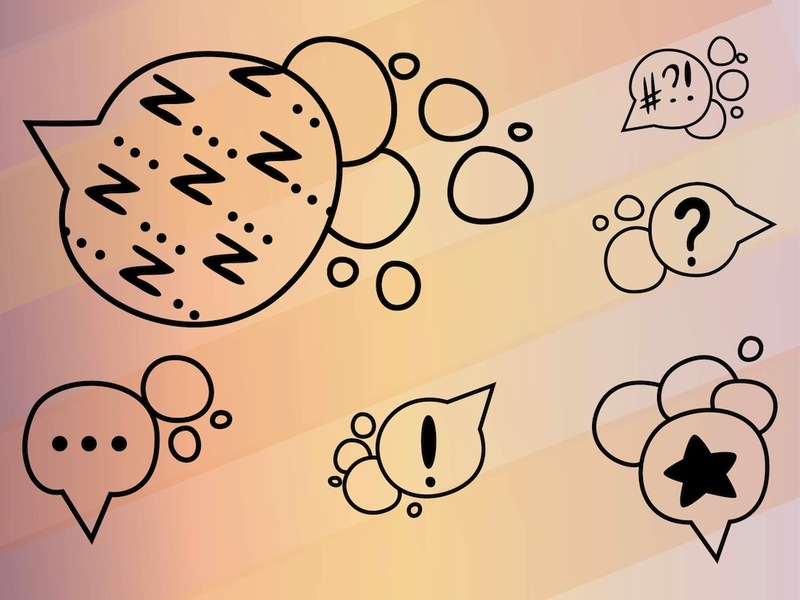 Various speech balloons vector illustrations. Comic book style groups of bubbles with different objects and patterns inside: dots, exclamation mark, letters, star, question mark and other punctuation symbols. Free vector illustration for all comic book, cartoon, stickers, T-shirt print or icons designs. Tags: Balloons, Cartoon, Comic Book, Signs, Star, Symbols.